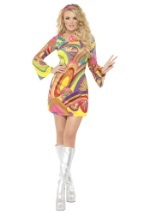 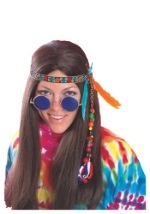 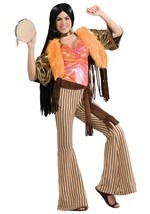 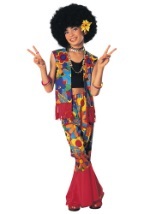 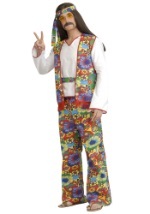 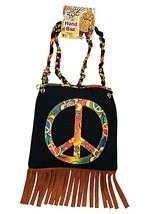 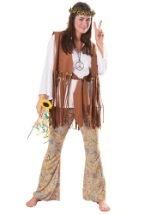 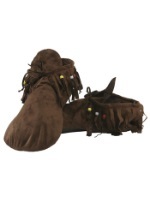 Wear this Right On Plus Size Hippie Costume to your 1960s theme Halloween party and be a model of cool and groovy style! 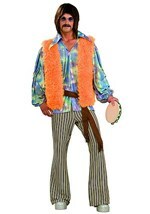 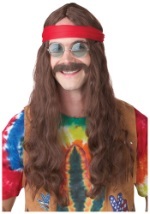 The costume includes a shirt with an attached vest, a pair of bell bottom pants, and a headband. 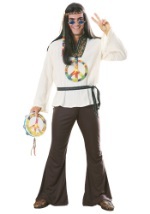 The 100% polyester shirt is white with long sleeves, a v-neck and multi-color ribbon edging the neckline. 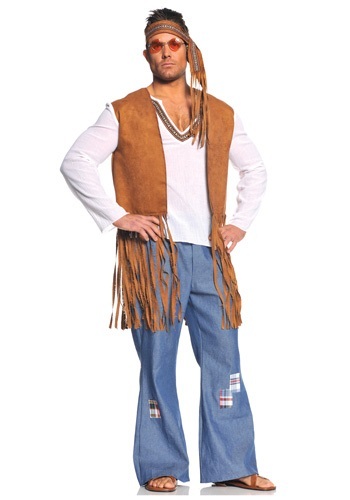 A tan faux suede vest with long fringe at the bottom edge is attached to the shirt. 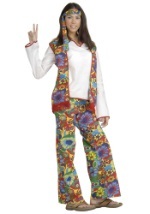 The blue elastic-waisted bell bottom pants have several plaid patches sewn onto them. 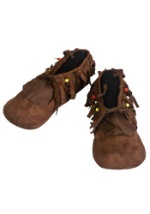 The tied tan headband has fringe at the ends and same multi-color ribbon on it as the shirt. 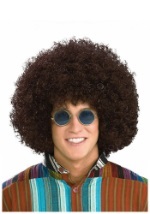 Add a pair of our retro sunglasses to this groovy look, and watch the dawning of the Age of Aquarius!